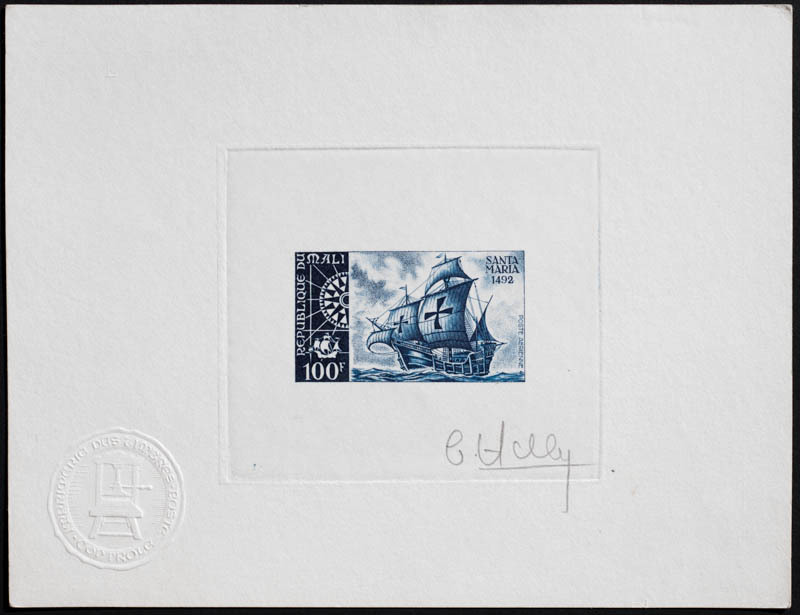 The ship stamps artist's proofs gallery shows images of more than 200 proofs issued between 1967 and 2005. Many of the Francophone territories outside of Africa are islands with a deep connection to the sea. For this reason, ships an important part of their history and commerce and a common topic of the their stamps. This is particularly true for the French Antarctic. 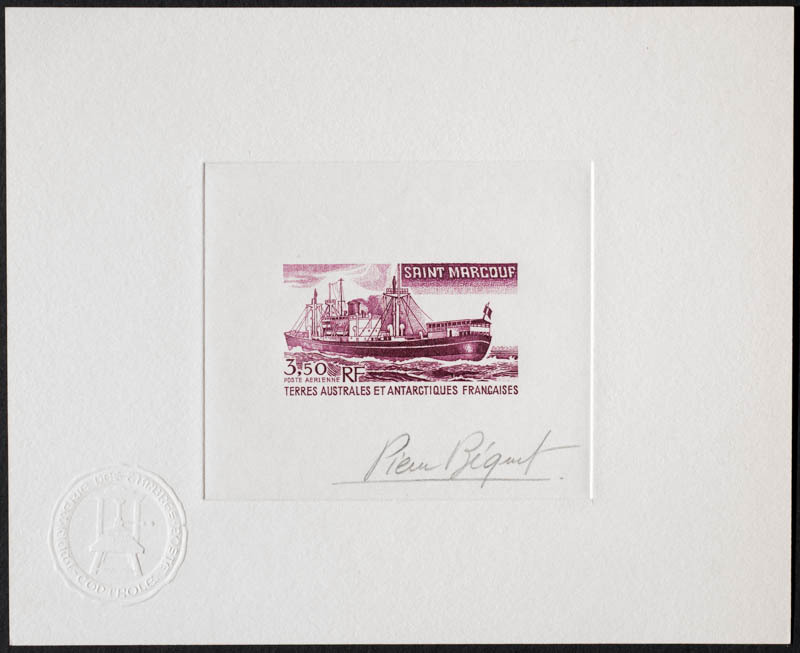 Ships are ideally suited as subjects because their shape fits easily within the dimensions of a stamp, although the masts of sailing ships need to be cut off if a sailing ship is depicted on a horizontal stamp so that it takes up most of the stamp. Ships are usually depicted on horizontal stamps, though there are a few vertical stamps with ships, especially sailing ships.